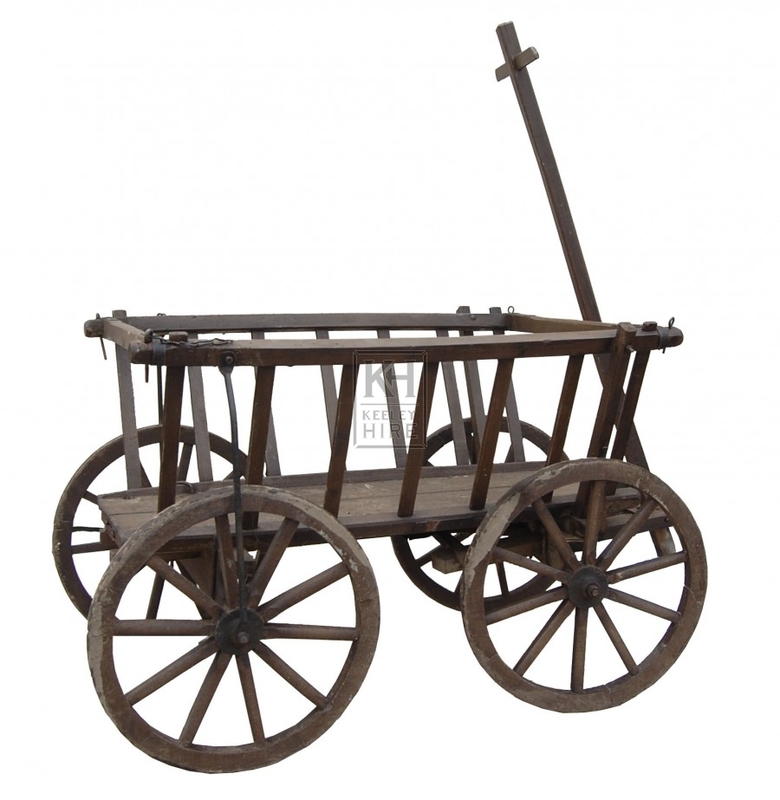 Description Small cart. Wide spaces in between slats. T-bar handle. 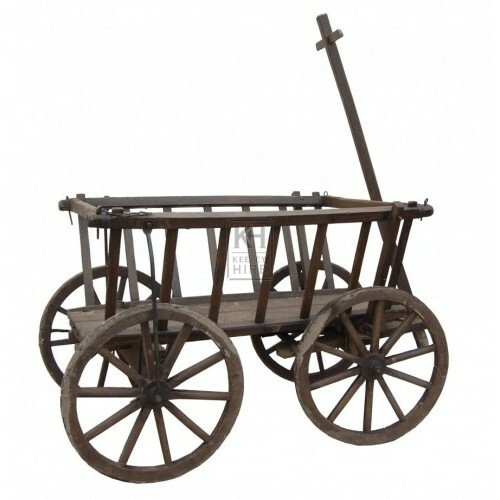 Length of cart without handle- 98cm.